2019 innovation in the Gorges du Verdon ! 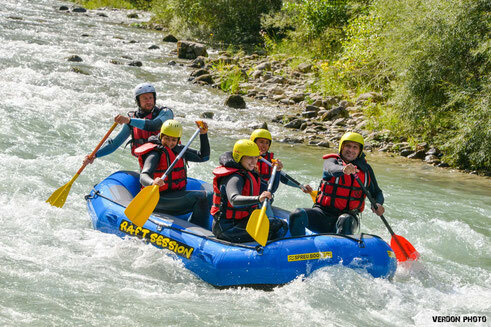 The mini-raft has the same shape then the normal one but is smaller, it meets from 2 to 5 people. The white waters look faster and are more hollow ! Experienced people car also drive themself the mini-raft under the watchful eye of the guide, from his boat. If it is your 1st experience, the guide comes with you and steer the boat. This allows you to enjoy the beauty of the Gorges without worrying about the direction while being between you! The guide is in the boat, with you. This boat accept a maximum of 4 or 5 people (if the boat is not too heavy !!). (*) : High season from july 8th to august 31st.